We are makers and restorers of pipe organs. The firm was founded in 1861 and is based in Durham, North-east England. We are perhaps best known for such large-scale organs such as those in King’s College Cambridge, Westminster Abbey and St Mary Redcliffe. But we also build fine smaller organs for churches, halls and private houses throughout Britain and abroad; we rebuild and restore organs of all sizes; and we provide a comprehensive tuning and maintenance service. Harrison organs stand firmly in the English tradition. Their distinctive sound is based on 150 years of experience and development. Meticulous standards of design and construction ensure that H&H organs have a reputation for longevity. In a series of high-profile restorations we have demonstrated our ability to recapture the spirit of historic organs from different periods. 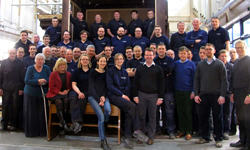 We train our organ builders to famously high standards; their skill and commitment lie at the heart of everything we do. They are supported by a resourceful and experienced management team. 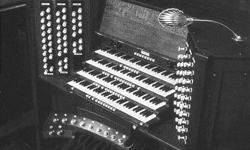 Our advice on organ projects is widely respected. 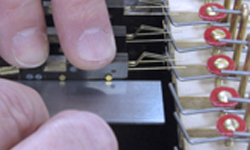 With a staff of nearly 50, we are among the larger firms of organ builders internationally. Each project, large or small, receives individual and personal attention.